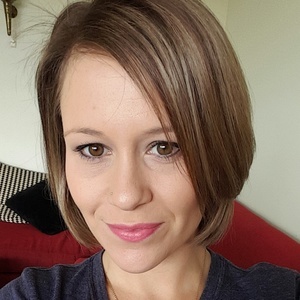 Working with children check ID WWC1543655E (valid for paid work & happy to pass on personal information for online verification) My name is Carly and I'm 29 years old. I grew up on the northern beaches of Sydney. I moved to Brisbane in March 2018 and I work full time as a Dental practice manager. My interests are going to the gym/keeping fit, going to the movies, beach, travel and spending time with friends and family. I love animals and especially love elephants! I'm the type of sitter that will engage with your kids, get down on their level and play with them and keep them entertained while following instructions from parents regarding meals, bedtime etc. I am available wednesdays all day and I’m available most weekends. I have babysat on and off since I was 16 for friends, family, neighbours, colleagues and several families from Jugglestreet. I have looked after children from 7 months to 15 years of age and I am confident looking after all ages. "Carly was lovely! She was reassuring, friendly and our son enjoyed spending time with her. Would definitely recommend Carly :) "
"Carly was lovely! She spoke to Isabel beautifully who was happy to crawl into bed and read stories with her almost immediately. Isabel was fast asleep when I got home at 8:45pm and didn't make a peep all night. She told me in the morning she liked Carly very much." "Carly was wonderful. All three kids loved her. Thank you." "Carly was just wonderful. Great communication, followed through with my instructions. Will definitely use Carly again!" "Carly was great, the kids loved her and first thing they asked this morning is ‘when is Carly coming back?’. Would definitely book Carly again." "Carly was a great help looking after our 2 boys, 4 years and 17 months for the day. She followed our routine, kept the boys entertained at the local park and at home and kept me up to date throughout the day. She clearly tired them out as they both had a huge day sleep the next day and asked when she'd next visit. " "Carly was great. The kids loved her and she put them to bed really easily. Thanks Carly. Would recommend her to others." "Very punctual, easy to communicate with and the kids loved her. " "Carly was great and boys very happy - will use Carly as often as possible "
"Carly was on time. She interacted with my children well from the very start of the job. I was impressed with the level of attention she had for the stories my four year old told her and how she included my 18 month old in the play. I would happily have Carly babysit my children again." "Carly was very accommodating and took on my job at extremely short notice arriving at my place within 20 minutes. She was confident and capable and managed my two boys aged 8 and 11 with no issues, getting them to bed on a school night which is not always an easy task. The boys loved her and gave her a big thumbs up. I will definitely book Carly again and have no hesitation recommending her to other families." "Carly's lovely and friendly, and makes you feel very comfortable leaving your kids with her. " "Carly was fantastic. She was warm, friendly, professional and was clearly comfortable around the kids. Our two girls loved her and can't wait to have Carly back. We highly recommend Carly and look forward to seeing her again." "I recommend Carly! She arrived on time and was bubbly and energetic. Our kids loved her and we would have her over again next time. Thanks!" "Carly was great. The kids connected with her straight away and rated her a 10 out of 10. We have no hesitation in recommending Carly." "Carly was fab...coped perfectly with both kids waking up unexpectedly. Daughter has been asking after her ever since. Highly recommend." "Carly is punctual reliable and great with the kids. My 4 year old loves having Carly come over. Highly recommend and will be using her again "
"Carly was great. Turned up on time, was mature and took take of both kids without fuss "
"Carly was fantastic with the kids. Very at ease and all was peaceful when we returned. We will definitely use Carly again"
"Carly was great, She was immeidately engaged with the girls when she arrived. She is sensible, practical and willing to do anything I suggested.... or anything my 4 year wanted her to do! I will definitely use Carly again."